How long have you been studying in preparation for the IELTS exam? What would happen if you failed to get the required score? 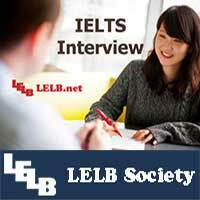 Why have you opted for IELTS instead of TOEFL? Which skills are you better at among the four ones? How much time do you spend practicing English every day? Do you have any friend to practice English with? Explain why you are interested in it. Is there any difference between the traditional and modern educational systems? What are the pros and cons of the current educational system in your country? Do you think it is necessary to give comment or criticism to teachers?